Robot themed Korean dramas have been around for some time, but seem to have picked up steam last year, and it doesn’t seem to be losing steam yet. Earlier this year, we had MBC’s romantic-comedy “I’m Not A Robot”, which had a science fiction premise but didn’t really focus on it; and this time, we have KBS’ “Are You Human Too?”, which banks more on the science fiction premise than the former did. “Are You Human Too?” fills in all the science fiction parts that I was craving from “I’m not a Robot”, as it not only banked on the technology itself, but it also allowed me to think about what makes a person human, if it is truly possible for an advanced artificial intelligence to almost become like a person, and where to draw the line between person and human and whether or not we should treat them as objects or as people. While it is a fun watch, one should expect the usual Kdrama tropes in this drama, be able to have a high suspension of disbelief, and overcome all the huge and glaring inconsistencies in the plot itself. However, the premise and the cast is what saved the show, especially as Seo Kang Joon gave what is probably going to be touted as his best performance yet. “Are You Human Too?” aired on KBS2 for thirty six half hour episodes, from June 4 to August 7, 2018. 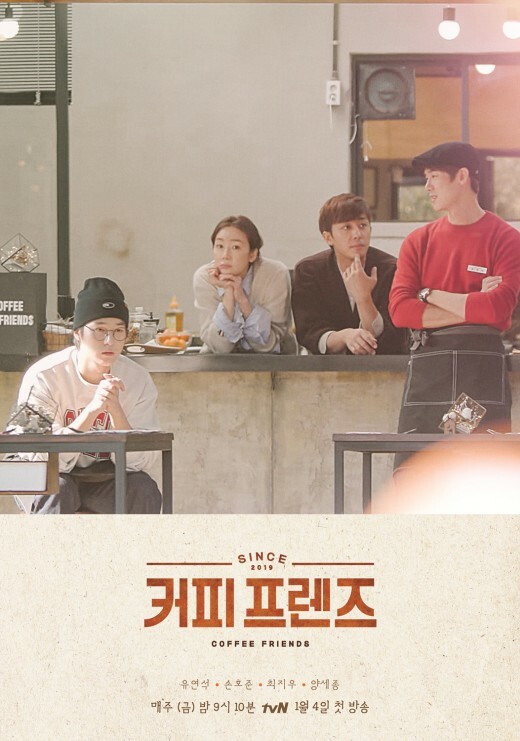 It was written by Jo Jung Joo (“Cheer Up, Mr. Kim”, “The Princess’ Man”, “Partner”), and directed by Yoon Jong Ho and Cha Young Hoon (“Uncontrollably Fond”, “Gunman in Joseon”). In the midst of corporate politics, after Nam Shin (Seo Kang Joon), the unpredictable and volatile heir of PK Group, gets into an accident that causes him to be comatose, his long lost mother, Oh Rora (Kim Sung Ryung), and his faithful assistant and only friend Ji Young Hoon (Lee Joon Hyuk), decide to send the state of the art android Nam Shin III (Seo Kang Joon) to Seoul in order to ensure that Nam Shin’s position is kept safe. Along the way, they run across Kang So Bong (Gong Seung Yeon), a disgraced MMA fighter who had recently been fired by Nam Shin himself; and along the way, Nam Shin III learns and develops as well. At the end of the day, corporate politics aside, the entire series allows us to question what makes a person a person, where do we draw the line between human and artificial intelligence, and if it is possible for an android with artificial intelligence to become more human and develop emotions and free will. The drama itself, the way it’s shot, directed and written is really nothing new; although at times, they do to try to subvert one or two tropes and then forget about it completely. There were also a lot of moments in which it banked too much on the usual corporate politics, melodrama tropes; there are lot of big gaping plot holes and inconsistencies. However, what kept me coming back again and again to this drama were its main core science fiction premise and all the questions that come with the discussion of artificial intelligence and robots; and the fantastic cast, in particular Lee Joon Hyuk and Seo Kang Joon. Seo Kang Joon played more than two roles in this drama, and was able to make his two main roles so distinct from each other, in every single aspect, from the two Nam Shin’s behaved all the way down to their physicality (the intonation of the voice, the light in their eyes, the way they carried themselves). His performance here is just a just as good as Yang Se Jong’s in “Duel”, and from what I’ve gleaned from other viewers, it looks like Kang Joon really stepped up his acting game from his stint on “Cheese in the Trap”. As I haven’t seen “A Poem a Day” yet, I’m glad to see Lee Joon Hyuk getting bigger roles. I knew that he was someone to look out for after watching “Forest of Secrets/Stranger”, and he didn’t fail to deliver here. Gong Seung Yeon was also in another science fiction based Korean drama last year, “Circle”, and while was impressed with her over there, I’m glad to note that she is capable of pulling of a more romantic lead character as well. I liked that this was science fiction all the way through, tinged with romance and revenge melodrama. It allowed us to ask the usual questions that tend to crop up when dealing with the subject of robots and artificial intelligence, and it was a great character study on nature vs nurture as well, given how these two Nam Shin’s were brought up. So, despite the gaping narrative and logicial plot holes, this show is definitely worth the watch if you like science fiction and all the big ethical and moral questions that pop up when one talks about artificial intelligence and robots, and great performances, especially from Seo Kang Joon. For me, it would have been great to watch this right after “I’m not a Robot”, which taught us the healing value of human connection; as this one satisfies the more science fiction element that was missing from it, it taught us how technology can be a boon and not a bane, and it teaches us what it means to be truly human, even if it is just a robot. Now, you know the drill, from here on out, there will be spoilers! One thing that I keep on mentioning here is that in order to fully appreciate this drama, one has to have a very high bar when it comes to suspending their belief, and because it is riddled with a lot of glaring inconsistencies which, I think, the production team could have taken care of, especially as this was a pre-produced drama (all episodes were shot prior to airing). However, despite all of that, this was one roller coaster ride of a drama that I wouldn’t have passed up on for the world. For many, Seo Kang Joon was given an opportunity to shine, and shine he did, by taking on two very distinctive roles, and at a certain point, he was portraying four roles. Seo Kang Joon portrayed the original Nam Shin, the android Nam Shin III, Nam Shin III pretending to be the original Nam Shin, and the original Nam Shin pretending to be Nam Shin III. As mentioned earlier, Seo Kang Joon not only made the two roles distinct and separate from each other, the little subtleties of how different these two were different from each other even in their physicality, blew me away. Nam Shin III had a warm light in his eyes, had an air of sweet innocence around him, and carried himself upright with confident and precise movements. Aside from this, his eyes also changed, but never lost that light, as he developed thanks to his experiences with others and as he pretended to be Nam Shin. Meanwhile, the original Nam Shin had more violence and swagger in movements, his eyebrows were a little bit more furrowed, he had bigger steps and movements, and even his voice intonation was different as it was a bit lower. There was a hard edge in his eyes as well. It was also impressive to see how Nam Shin could easily slip into Nam Sin III’s character and vice versa. For me, this whole show was about Nam Shin III and his development. He went from a man made machine that had to abide by certain rules, to an entity that developed a conscience, actual emotions, could make judgments like humans do, free will and self-awareness. And while most movies with robots paint them as monsters, this drama gives us a little hope that if raised in the correct environment, it is possible that they won’t turn on us. And yes, for me, Nam Shin III isn’t quite human, but he’s quite close to it, and at times, he was more human and even better than the flawed humans that were Rora, Nam Shin, Young Hoon and So Bong. Nam Shin, on the other hand, was a ball full of fury and hatred, thanks to the way that he was raised by his manipulative grandfather. However, just like those that cared and loved Nam Shin with all his faults, there definitely is a line that you don’t cross- you don’t openly try to actively and physically hurt people. That behavior is inexcusable, no matter what your excuse is. Although I’m glad that he was able to come back to his senses in the end, I would have actually liked to have seen that transformation myself instead of a one year time skip. Young Hoon was an amazing character, and Lee Joon Hyuk managed to pull off a performance that called him to be restrained for most of the time, but still managed to show all the emotions that came with his character. Young Hoon as a character is amazing, as he proved himself to actually have more inner strength than most of the people around him, and his loyalty to Nam Shin was there until the end, even though it meant that the tough love he had to dole out to him will make him a villain for a while. I thought that he deserved the company fair and square as he not only knew how to run it, but he cares enough for the company and the people who work for him, unlike Nam Shin, who just wanted to sell it as it caused him and his family so much misery and suffering. The writers disappointed me in how they treated the main female characters because there were a lot of inconsistencies, at times they became background characters, and at times, character development just stopped. So Bong was a character I had to warm to a bit, but once I did, I liked the fact that we got to see her develop from the jaded person she had become, to someone warm and caring, especially with her newfound purpose of protecting something that was pure and innocent. However, once Nam Shin woke up, her development stopped, and they weren’t able to show us how good of an MMA fighter she had been. Rora’s genius wasn’t shown until the very end; and Ye Na (Park Hwan Hee), was an annoying spoiled brat until she started realizing that she also had to dole out some tough love to the man she loves to save him. I did like the questions it did bring up, from whether an android can develop enough to the point that he can be like a person and how society should treat android’s like him. While we are still currently miles away from that kind of technology, I will not be surprised if it does become possible, and if they can be taught and raised in a nurturing environment, then I believe that it is possible for androids and humans to coexist. I don’t think that it is ethical to destroy them and discard them like toys, especially if they’ve reached a particular level of development and self-awareness. However, this can be a double edged sword, as in “The Matrix” and “Battlestar Galactica”, especially if they are not checked in some way or form. The question about what kind of rights an entity with artificial intelligence has was also questioned in “Star Trek”, and in particular, in episodes that dealt with themes, especially with the characters of Data (Brett Spiner) from “Star Trek: The Next Generation” and the Emergency Medical Hologram Doctor (Robert Picardo) of “Star Trek: Voyager”. No one really knows and no one really knows what is the right answer to this, which is why questions like this concerning this kind of theme are always brought up. Regardless of everything, plotholes and all, this was a satisfying robot themed drama with a knockout performance from its cast, and in particular, from Seo Kang Joon. It is definitely a must watch if you are a fan of his, or just a fan of science fiction Korean dramas in general, as long as you can get over all the other big glaring holes it contains. Have you seen “Are You Human Too?” What did you think of it? Do you think Nam Shin III should be considered a real person? Let me know what you think in the comments below!